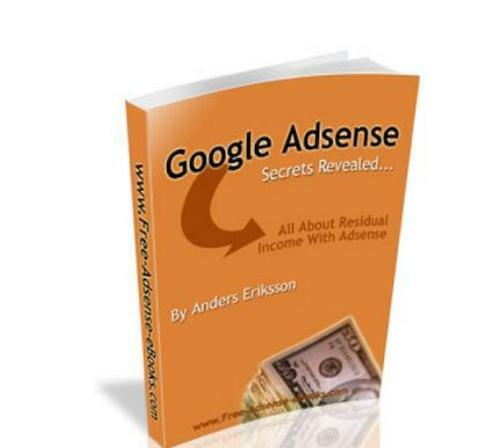 AdSense is a program for webmasters which was implemented by the famous Google some years ago. Google then starts serving ads to those websites, based on the keywords that it finds in the text of the page. When a visitor clicks on one of those ads, the webmaster makes money usually a few cents per click. However, when a site has a great deal of traffic, and when the webmaster knows which keywords are the most profitable to target, there is a lot of money to be made. It sounds simple enough, but its really NOT that easy. First of all, you have to be approved and Google is picky these days. The good news is that once one site is approved, and you have a Google AdSense account, there is no need to seek Googles approval to use AdSense on any other site that you own, as long as that site is within the Googles terms of service guidelines. Once you are approved, you have to know which keywords to target the ones that will make you the most amount of money per click, and how to write (or have written for you) content that makes those high paying ads appear on your site. Finally, you have to learn how to drive traffic to your AdSense site. Without the traffic, you wont get any clicks, and without clicks, you wont be making any money. Getting real, targeted visitors that are eager to click on your ads is by far the hardest part of being an AdSense publisher. There really arent any secrets here it is just a matter of learning to use some basic, proven site promotion techniques. You may have heard gurus say that Google AdSense is dead?. If you havent heard this, there will come a point when you will. But that really isnt true. In fact, there are thousands of people just like you that are making very nice livings from the Google AdSense program. Usually when a guru says that you should not use Google AdSense, they generally mean that you are better off not using it, especially when you are promoting your own product, and your website is tightly focused on that product. You should also note that many successful AdSense publishers have more than one website. They typically have numerous websites, on a variety of topics on which they display the Google ads. However, there are also those that simply have one high traffic website, from which they make money from the AdSense program. Regardless of this, all AdSense publishers start with just one website, and grow from there, and this is what you should be doing as well. You have to get the basics down, and learn the secrets that surround the profitability of Google AdSense before you can be successful with more sites.